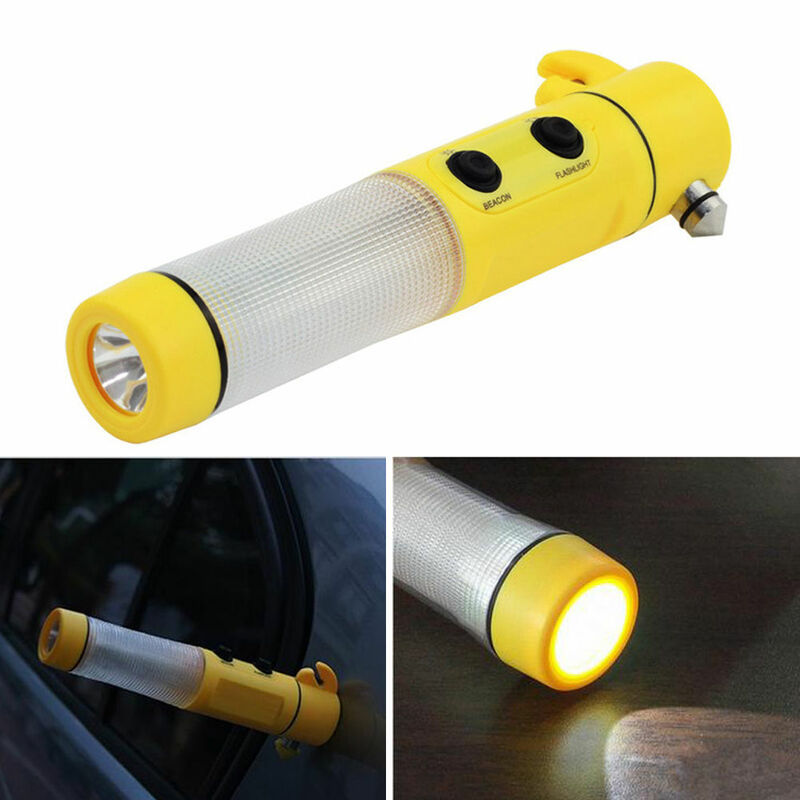 360 degrees red LED flashing beacon and white LED torch with strong magnetic base. Small enough to keep comfortably in the glove compartment of any vehicle. 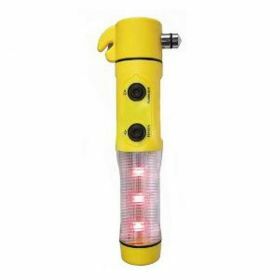 Ideal for most emergenices - at home (torch for power cut and hammer to break glass in the event of a fire), in the car (breakdown or accident) or camping (finding the toilet or your tent in the dark !). 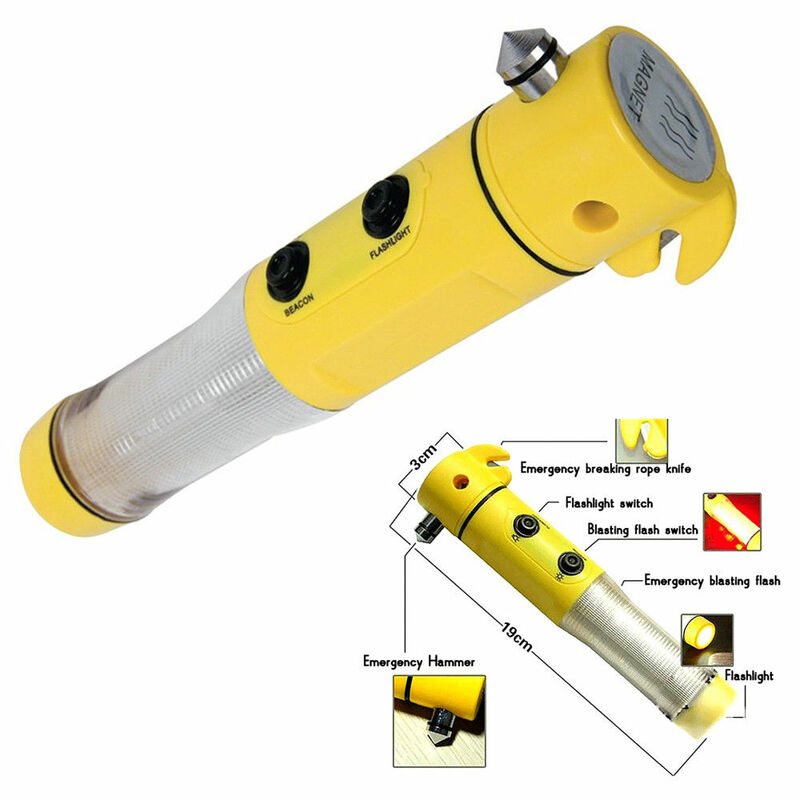 In the worst case of a car accident, the tool has a seatbelt cutter and a hammer to break a window to help you get out of the vehicle and can then be left attached to any exposed piece of metal via its magnet to make the vehicle visible while you back off a safe distance. 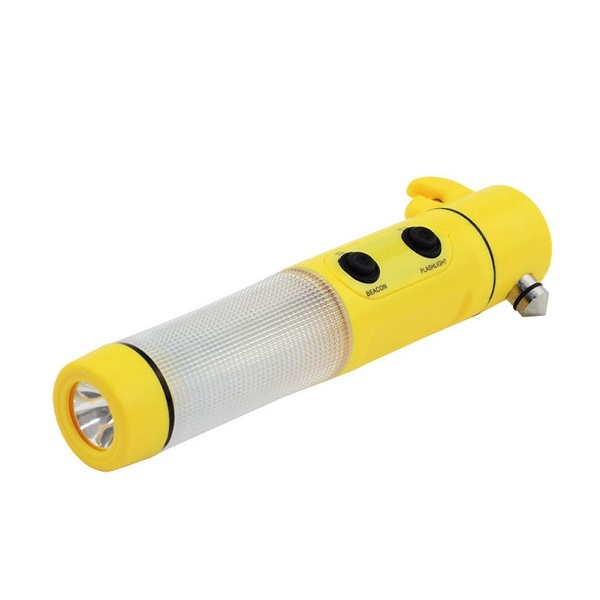 Supplied with 2AA batteries (pre-installed) and in retail packaging so can easily be resold.